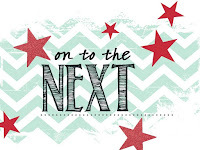 Just Julie B's Stampin' Space: Creation Station Hop - In All Things Give Thanks! Creation Station Hop - In All Things Give Thanks! Howdy, and Welcome to Just Julie B Stampin' - We are 'Giving Thanks' this month with Creation Station! So my take on the theme this month was Thanksgiving in the U.S. - but I decided to go a little alternative with my colors! I Love, Love, Love the Festive Farmhouse Designer Series Papers - so I decided to create around them. - Plaids are SO in right now!! I made a coordinating card and little Hershey Nugget Treat Holder! And I used the Country Home stamp set because I Love the sayings (well, I do like just about all of it really). For the card, I layered the plaid and it's backside on the Early Espresso card base. Then I tied the Mossy Meadow Cotton Twine around (love the softness to that twine!). And for for the focal point, I used the cotton bouquet from the Country Home set, but I didn't want to use a pail or pitcher for the base, so I added the saying below it! - And I did use Early Espresso ink for the stamping, even with Stampin' Blends coloring. I was just careful not to color to heavily! To my surprise, it worked great! So for the Treat Holder - I used a fun little template I found from The Paper Pixie (from about a year ago)! She's awesome at little treat holders - Click HERE for the You Tube video on how she made this. 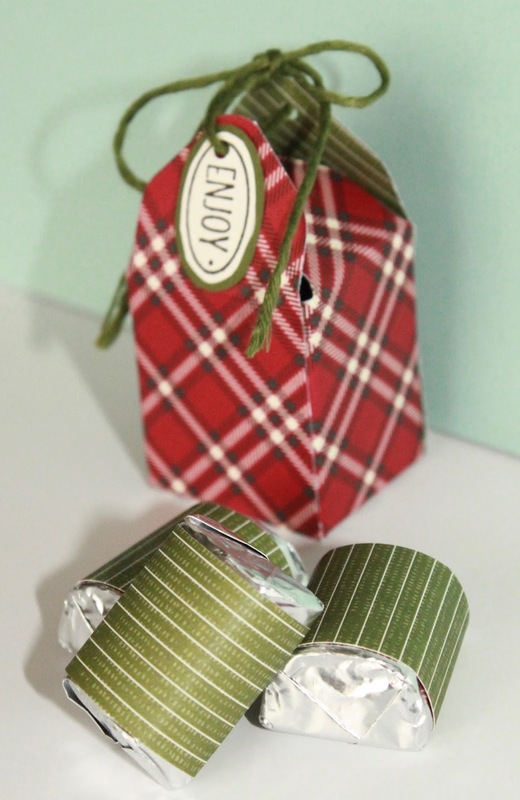 My favorite thing about it is that you can make the holder (super easy, using the Envelope Punch Board) and cover three Hershey Nuggets - ALL with a 6" x 6" piece of Designer Series Paper! I hope you enjoyed your stop by, and thanks for hopping with us - and up next is the fun and fabulous Dena Rekow! Click on the link below to hop on over there! Swappin' in Orlando with Creation Station! 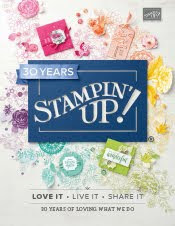 Back from Stampin' Up! 's OnStage!